One of the best ways to visit a winery in Australia is simply to turn up at the cellar door (tasting room) and sample a glass of their vintages. But in recent years, the country’s boutique wineries are becoming more innovative in the range of customer experiences they’re offering. It’s almost de rigeur for wineries to have an on-site cafe or restaurant, but some have gone even further by offering extensive degustation menus. Audley’s Australia specialists have chosen the vintners that go the extra mile, from cinema nights to personal tours and tastings with the owners. 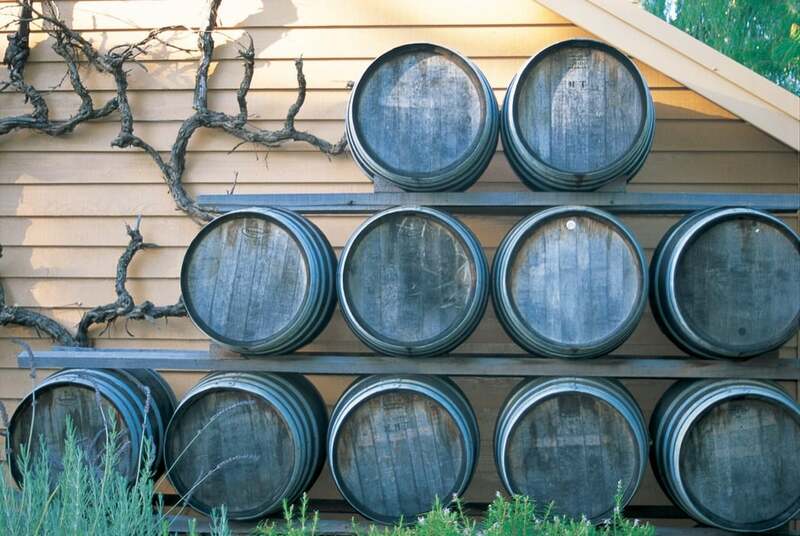 There’s a grandeur and elegance about this winery that’s immediately apparent: the estate’s cellar door reminds you of a Cape Dutch farmstead, and you’ll walk through geometric, manicured gardens full of European blooms and corridors of plane trees. A huge Australian flag flutters above rows of vines lest you forget where you are. 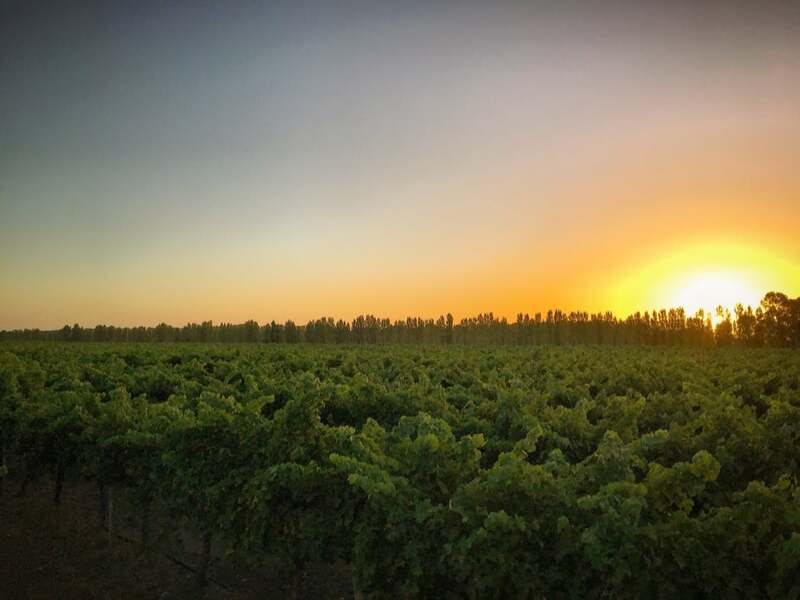 Voyager is typical of Margaret River region wineries: it’s headed by young, dynamic and enthusiastic winemakers, keen to make their mark with new and adventurous blends while still producing the region’s classic chardonnays and cabernet sauvignons. For an indulgent afternoon, there’s a four-hour, six-course discovery degustation lunch. It begins with the estate’s own sommelier introducing you to six different wines before you’re served a selection of dishes. It’s up to you to guess which tastes have been chosen to complement each wine (and if the curiosity’s too much to bear, you’re provided with postcards explaining the pairings). Expect, for example, chenin blanc matched with avocado, honey, ginger and pistachio. The other standout combination? Seafood plates of local marron, tarragon and caviar paired with one of the winery’s project wines, a sauvignon blanc. Located just north of Voyager, this winery, named after the nearby limestone headland jutting out into the Indian Ocean, has a lot going for it. Beyond its modest-seeming entrance, its experiences include intensive tasting workshops in its rammed-earth cabernet cellar. Here you can try its cabernet sauvignon and many other varieties, including zinfandel, semillon, cabernet franc and shiraz. The real treat is the summer evening cinema nights. You can lounge on a reclining beanbag in the estate’s grassy grounds, surrounded by the vines and native karri trees, and watch films projected on a large screen. Bring a picnic, and buy your wine from the bar (or buy cheese and meat platters or gourmet burgers on-site). Blankets are provided as darkness falls —the vineyard is known for being breezy. Remember to look upwards every now and again —this region is one of the most isolated in Australia, so light pollution is minimal, and you’re likely to see shooting stars. Tucked away amid the few gently rolling hills of the Margaret River region where the vines run all the way to the coast, you’d be forgiven for driving straight past this small-scale winery. It’s managed by husband-and-wife team Robert and Karen Karri-Davies, and its reputation has mostly spread through word of mouth. On approach, it all looks much more working farm than polished estate, but don’t let appearances deceive you. Tastings take place in a small outhouse with Robert (and his dog). The speciality is organic, characterful cabernet sauvignons, made using the age-old method of the basket press, a device used for grape crushing. It’s refreshingly rustic and intimate, as Robert shares his experiences of being a boutique winemaker and takes you on impromptu tours of the winery. You can easily combine a visit to Cape Mentelle with Yallingup Beach. 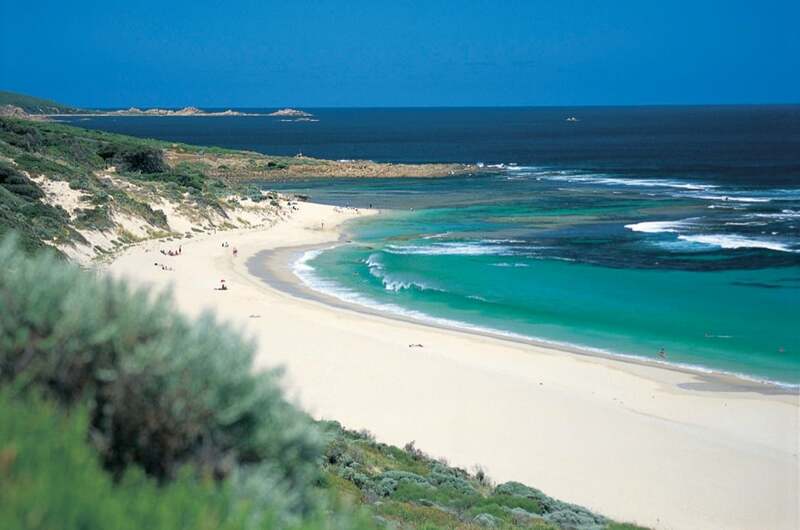 Its golden sands and bright cyan waters sit at the base of a huge natural ridge that runs throughout the Margaret River region. A striking statue of stallions sparring over a lily pond greets you at the entrance to Rymill’s, a family-owned and operated winery in the middle of the Limestone Coast. The soil here is made of red clay and loam, a rare combination called terra rossa which makes for excellent cabernet sauvignons. 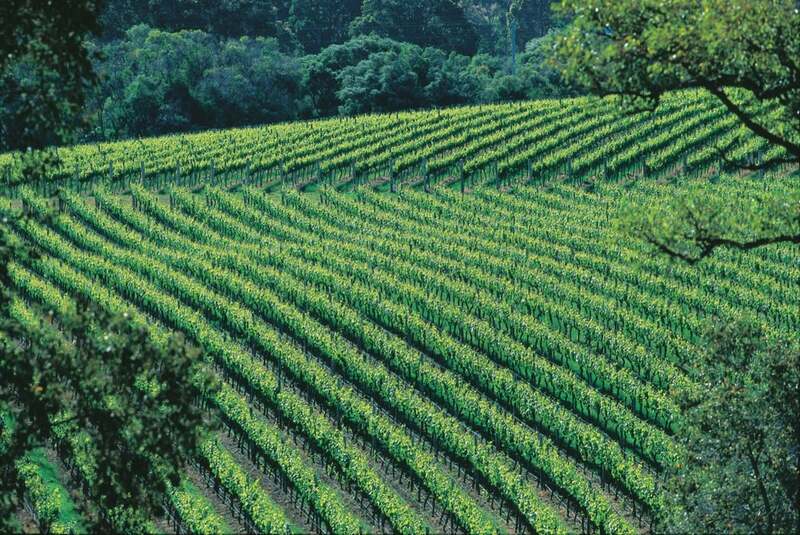 The region’s cool climate also lends itself to producing fresh chardonnays and sauvignon blancs. If you’re tackling the long drive from the end of the Great Ocean Road to Adelaide (and you’re in a campervan), you have the opportunity to camp overnight in the vineyards. Only one spot is available, so you’ll be in total privacy among the lush green lines. 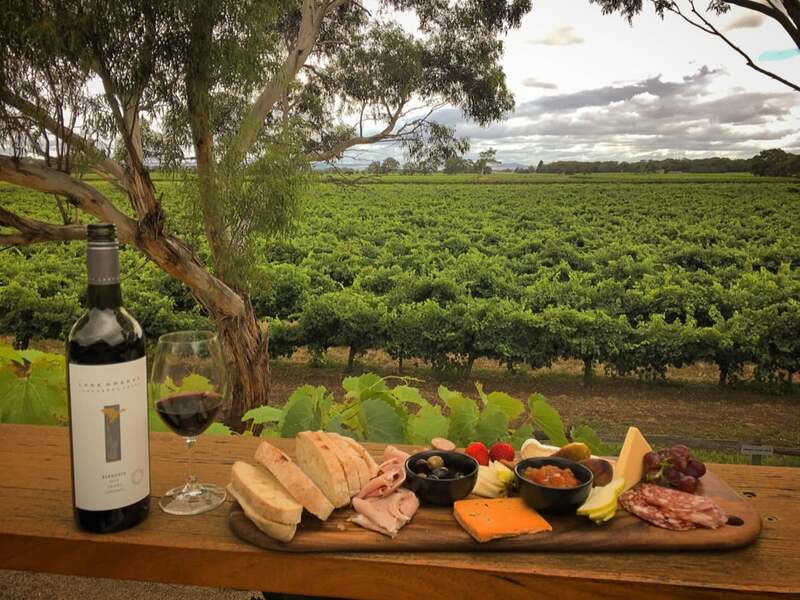 Rymill sets you up with a hamper of local cheeses, meats, breads and pâté, as well as a couple of bottles of wine to enjoy while you watch the sun go down. An hour from Adelaide is Lake Breeze, whose vines carpet the banks of a river in grounds filled with gum trees. Controlled flooding is used to help water the vines during winter, when the River Bremer is diverted. The estate may have a rich heritage dating back to the 1850s, but it feels firmly focused on the present. The cellar door is light, airy and sharply modern. The winery runs regular events such as family days and ‘cellar treasures’ weekends where older bottles are dusted off and sampled. If you choose to campervan overnight in the vineyard, you’re presented with wines and a charcuterie board that wouldn’t look out of place in any good bistro in the south of France. 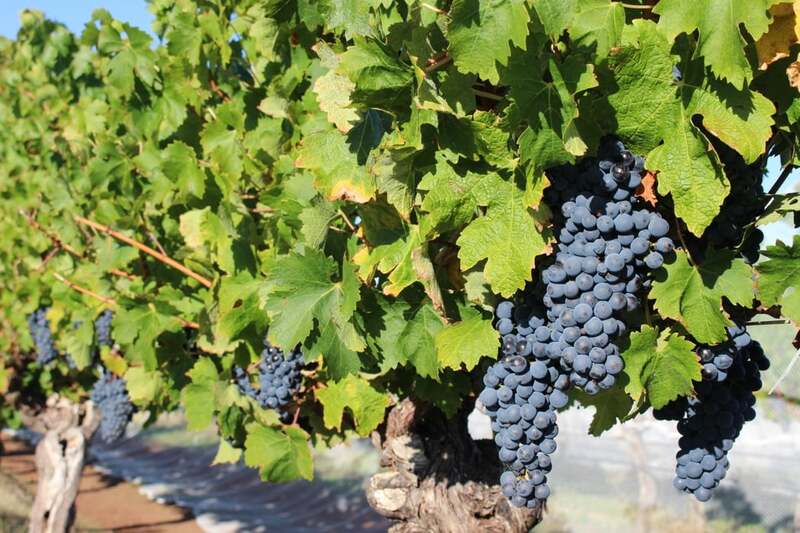 You can also venture beyond cabernet sauvignon and shiraz, and try the winery’s lesser-known grenache, merlot and petit verdot.